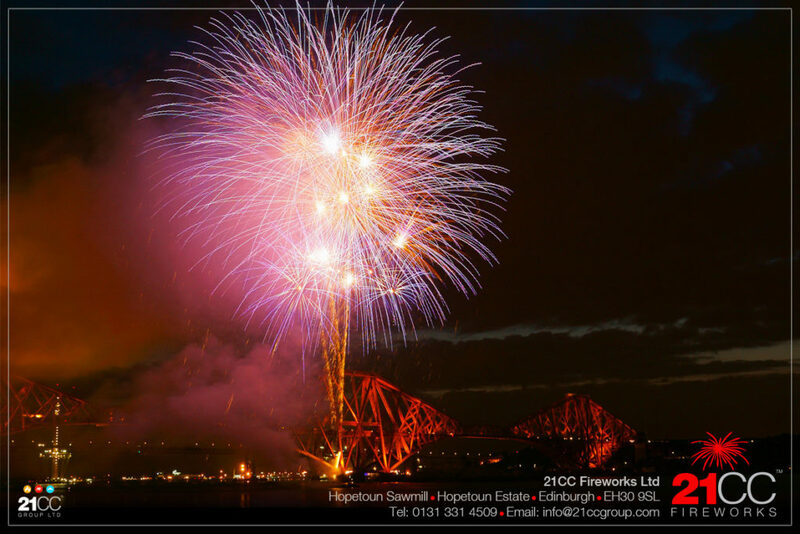 Our team at 21CC Fireworks Ltd get up to lots of interesting and prestigious events around the country. None more prestigious than a private event on the Forth Rail Bridge for HRH and the Prince’s Trust. 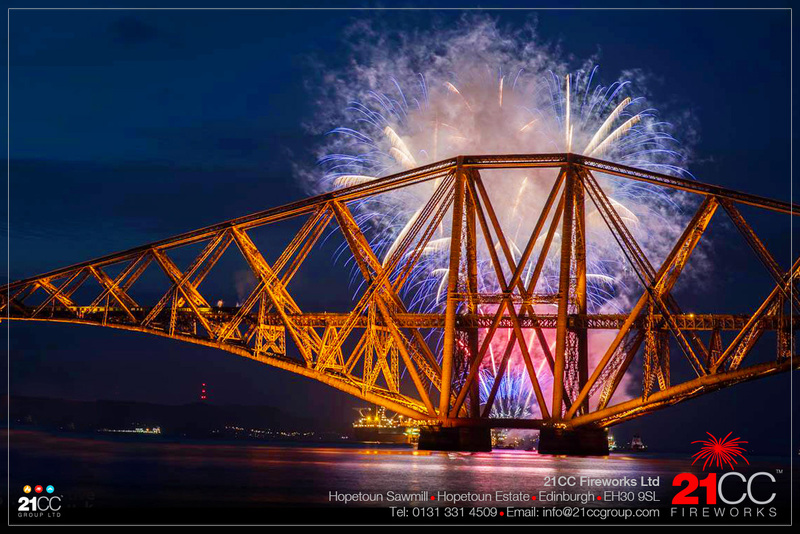 On the 23rd June 2015, our team lit up the sky as a privately chartered steam train crossed the bridge, creating an incredible Forth Rail Bridge fireworks display spectacle as part of a high profile fundraising event. The display was designed and fired to a custom piece of music that was put together by the 21CC Fireworks production team. The music was a continuous medley of the client’s favourite tracks incorporating a combination of popular and classical music. 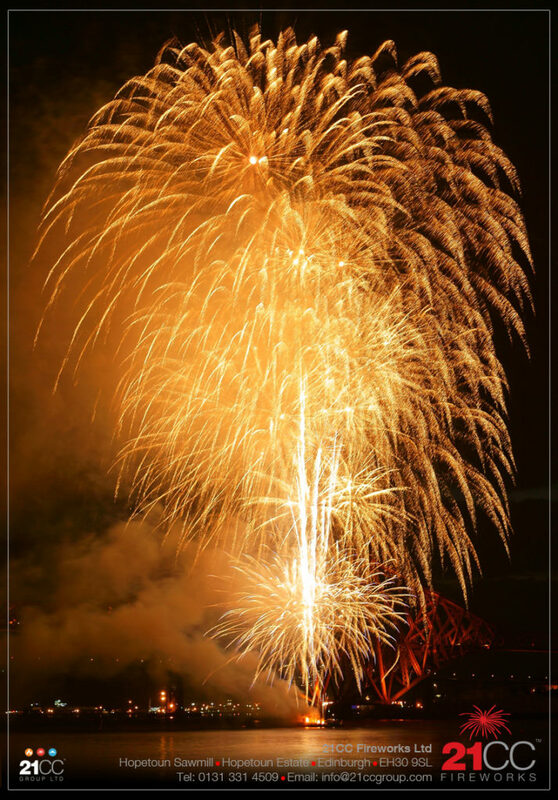 The display, which took place in front of the 3 iconic bridges, took 2 weeks to prepare and contained more than 6 tonnes of fireworks and equipment. It was all set up and fired from a floating barge anchored in the middle of the Firth Of Forth. There were 12 pyrotechnicians from 21CC Firework working on the show, setting up the equipment and wiring in the 20,000 effects over a period of 2 days. 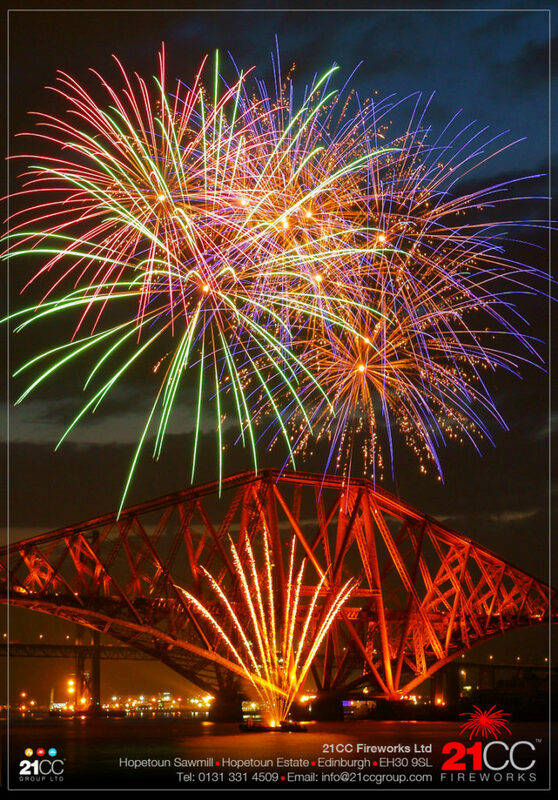 As part of the safety planning for the display, the Forth Rail Bridge was closed for the duration of the show. 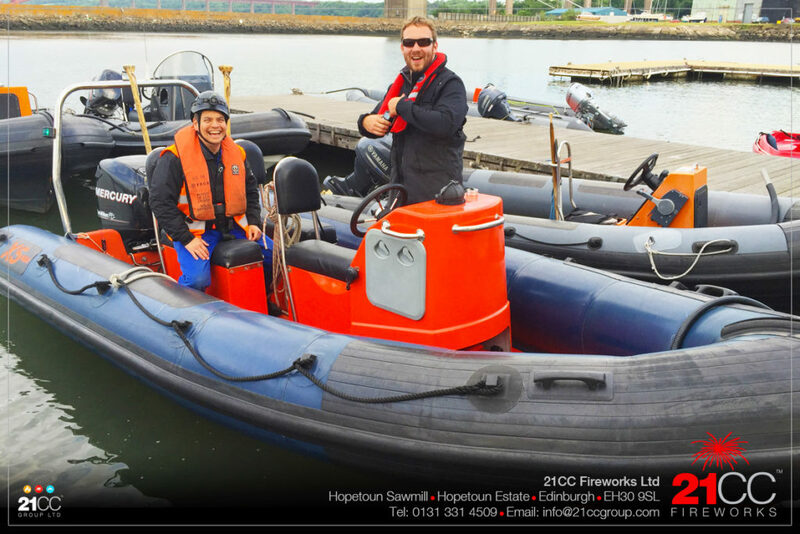 The 21CC Fireworks team also arranged for 3 safety boats to service the fireworks crew on the barge and to manage the fall out zone on the water from the fireworks, preventing small craft from getting too close to the display as it was firing. 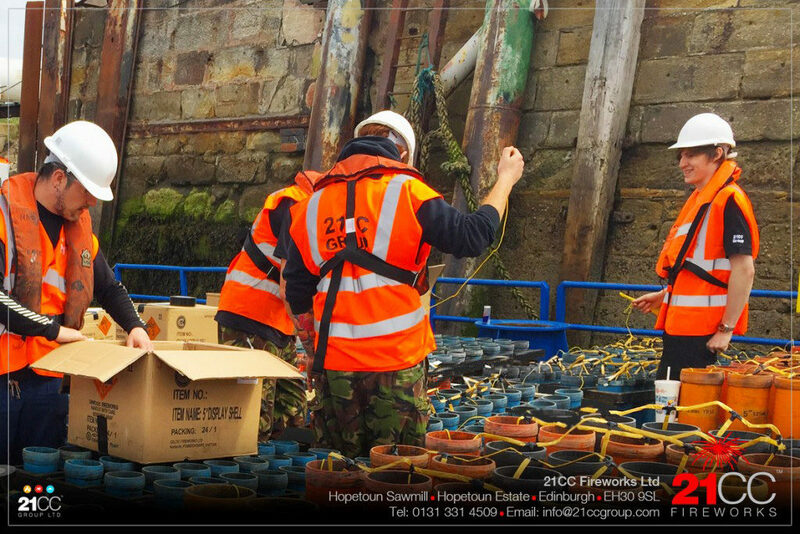 As the steam train arrived on the bridge, the 21CC Fireworks Production Team on the train started transmitting the firing code, which was received by the wireless firing systems on the barge. The music and fireworks then started together, resulting in perfect synchronisation between the fireworks on the barge and the music on the train. The large sky bursts lifted from the water and exploded to the beat of the music high in the sky above the bridge. 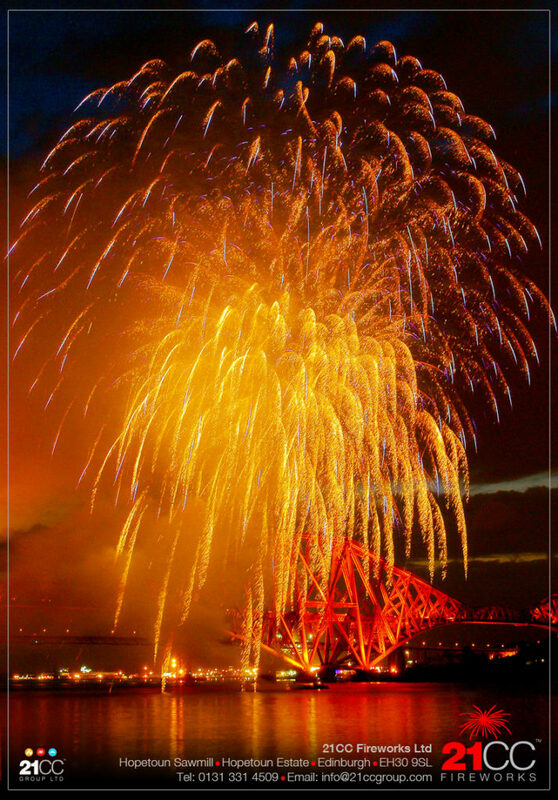 It truly was a Forth Rail Bridge fireworks display spectacle! 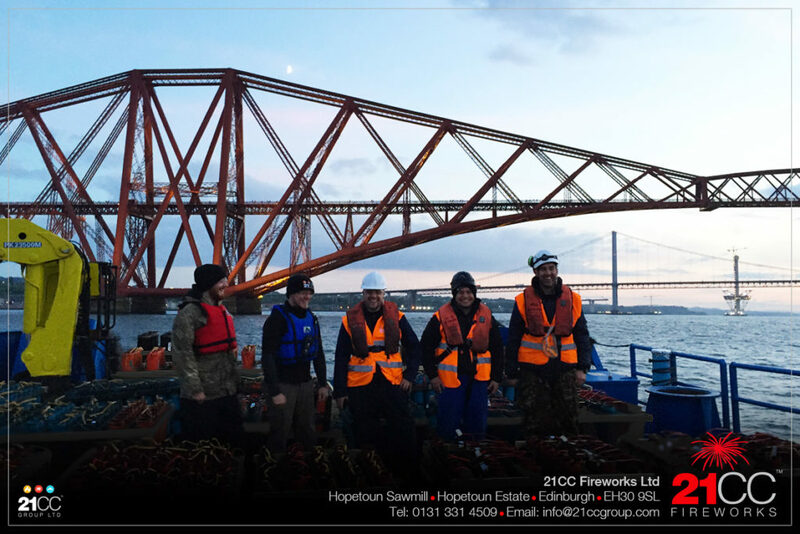 These Forth Rail Bridge fireworks were a private event hosted by the Prince’s Trust Scotland as part of a fund raising venture, which raised funds in the order of £500,000 for the Prince’s Trust UK. 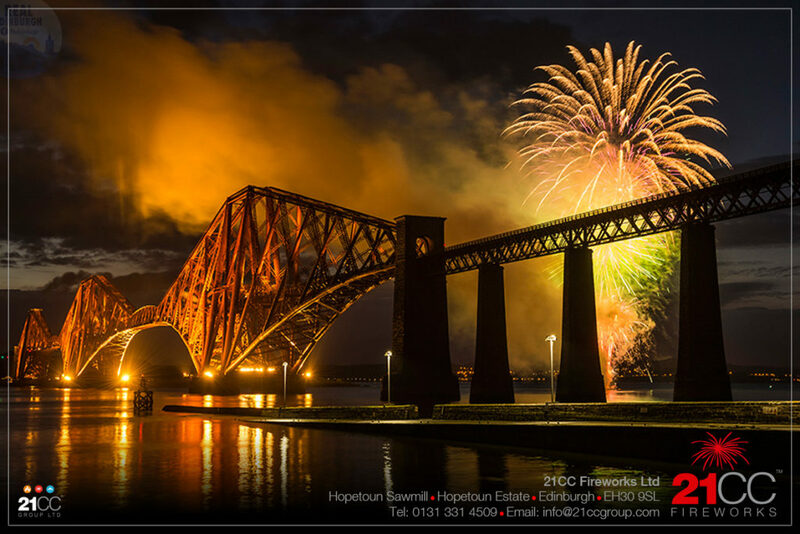 Photographs of the Forth Rail Bridge fireworks display are by: 21CC Group Ltd, Colin MacDonald, Rankine Photography, PK Perspective and Real Edinburgh.